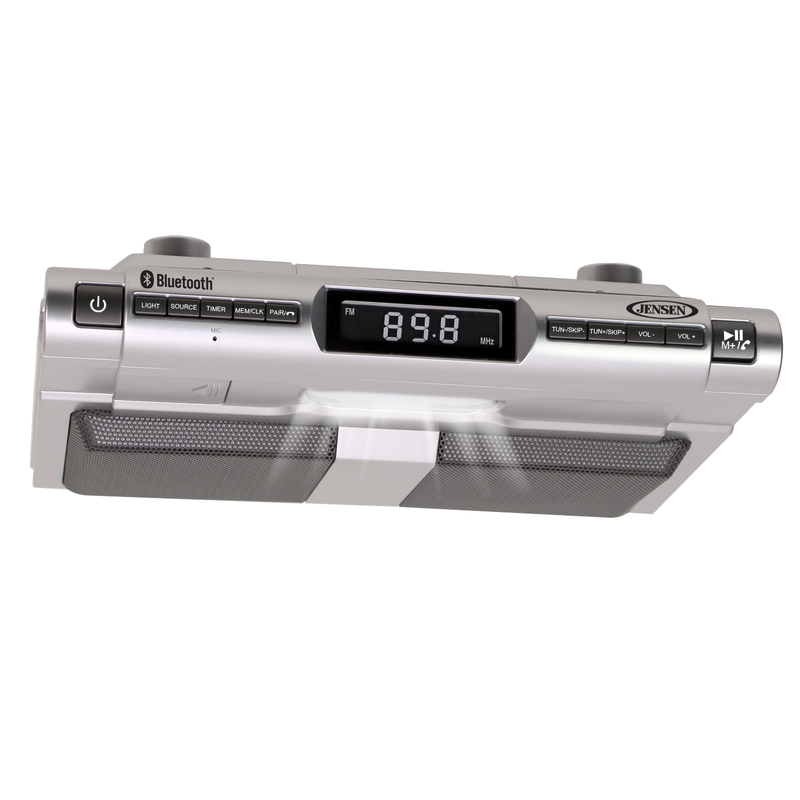 The JENSEN® SMPS-628 is a Bluetooth® Music System with a perfect space saving under cabinet design. The hands-free speakerphone with built-in microphone is great for multitasking on your Bluetooth-enabled phone. 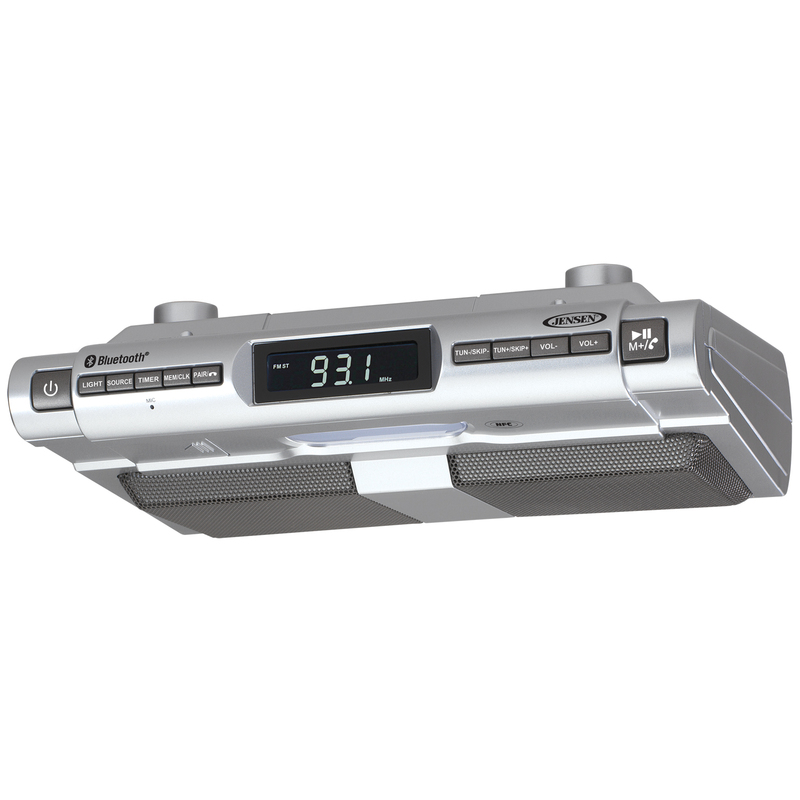 Enjoy lots of convenient features like FM stereo receiver, digital volume control, clock with timer, a built-in 4x LED work area light, and an auxiliary input jack for connecting your iPod®, MP3, or other digital audio players. 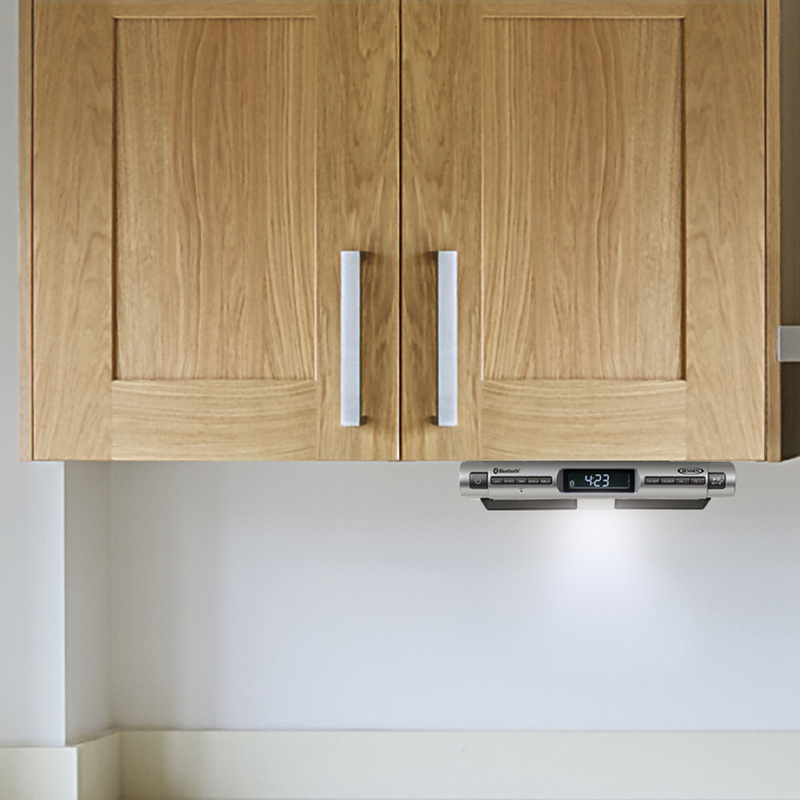 This unit is ideal for the kitchen, but can be mounted anywhere easily with under cabinet mount included. The SMPS-628 Bluetooth Music System is multifunctional, discrete, and packs a big sound. 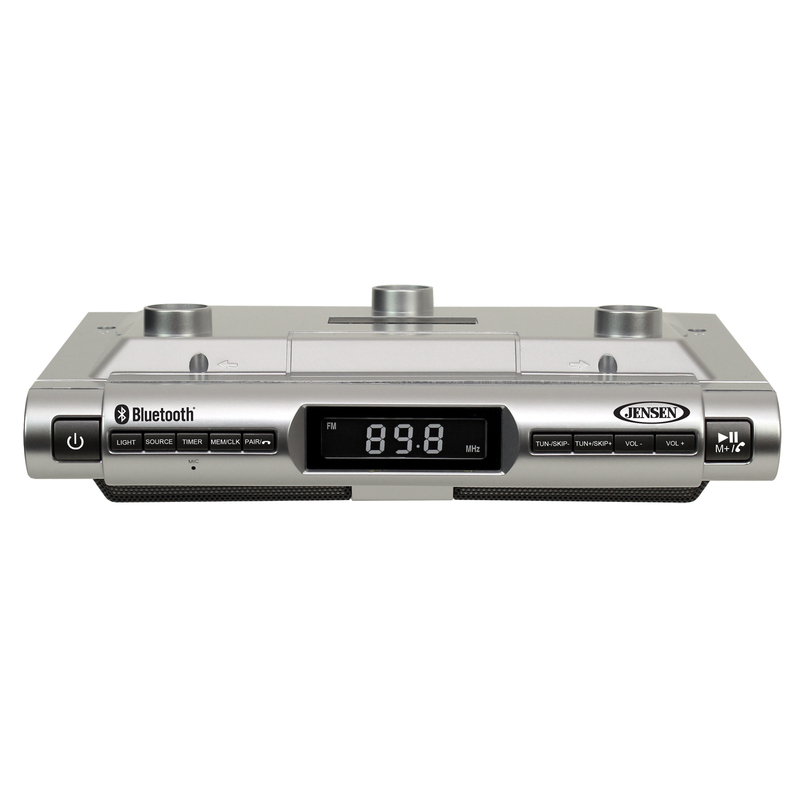 It will have you wondering how you ever listened to music at home without it.